fdmLOVES: Wild Diva.. an alluring celebration of woman, paying homage to her femininity. Roberto Cavalli and Marcolin special edition sunglasses were first shownon the CAVALLI fall-winter 2012-13 runway. 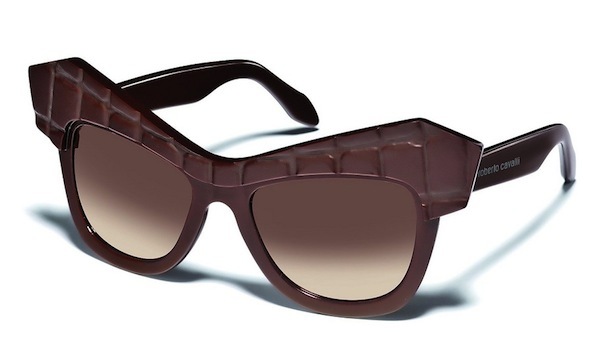 celebrating the ICONIC woman excuding glamour, daring shapes were created to get a girl noticed.. audacious shapes of the sunglasses with croc and ostrich prints in surprising colors from tobacco and aubergine to extreme pink, yellow and acid green. 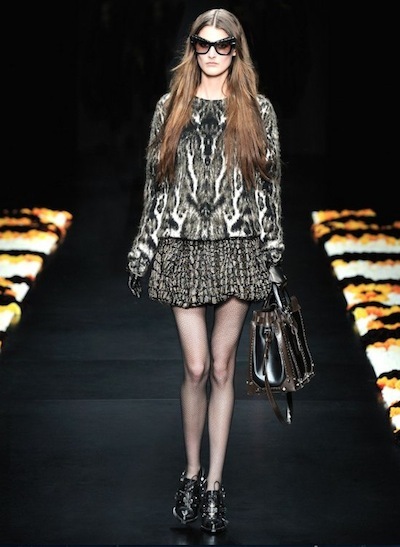 call her the CAVALLI WILD DIVA, we love it! ‘An earthly paradise populated by creatures of fantasy…the Eden of femininity…my creativity is expressed through clothes which make the Cavalli woman a sensual and mysterious being.’ –Roberto Cavalli..